I was on leave after my first work, but I still dropped by the office so Mon and I can go together in Glorietta 4. I have already booked two tickets the night before for an 8:55 PM showing of ‘After Earth’, so that we no longer had to queue after rushing from Ayala FGU. I wanted to go to Shakey’s because I’ve been weirdly craving for greasy potatoes (i.e. 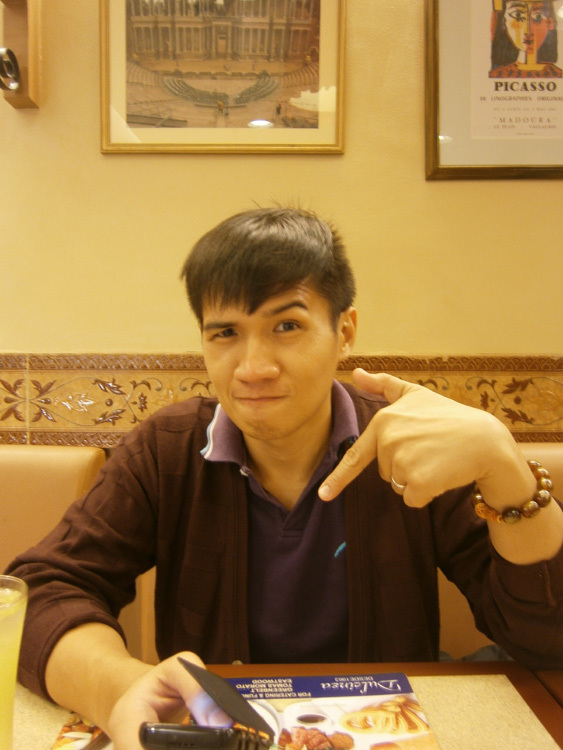 mojos), but we ended up in Dulcinea. We have been passing by this place for years already, but he haven’t really tried their menu. 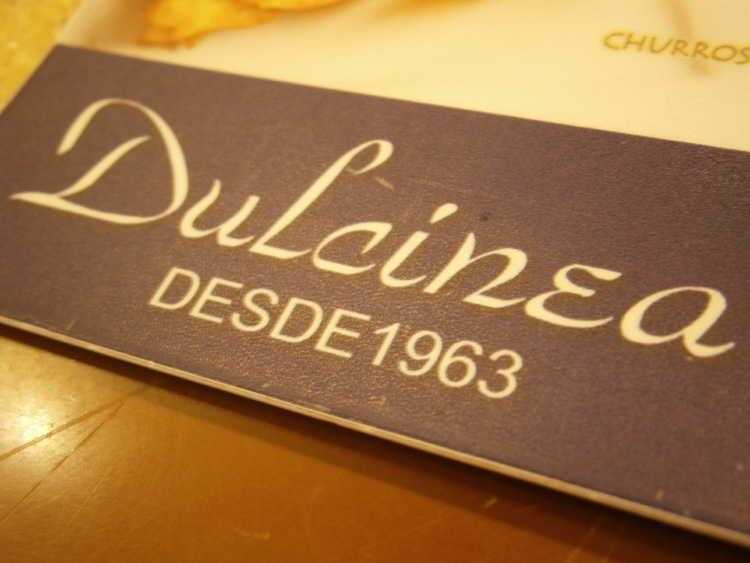 I know that we tried the Dulcinea in Eastwood last year (just the churros) but not really the heavy ones. We ordered quite a lot of things, and not to mention, disparate ones (the burger felt out of place) but the dessert sampler for Php 99 was really nice. Their pesto left a lot to be desired, though, as it was not as tasty as I hoped it to be. But at least, I left happy as I got my fix of potatoes. 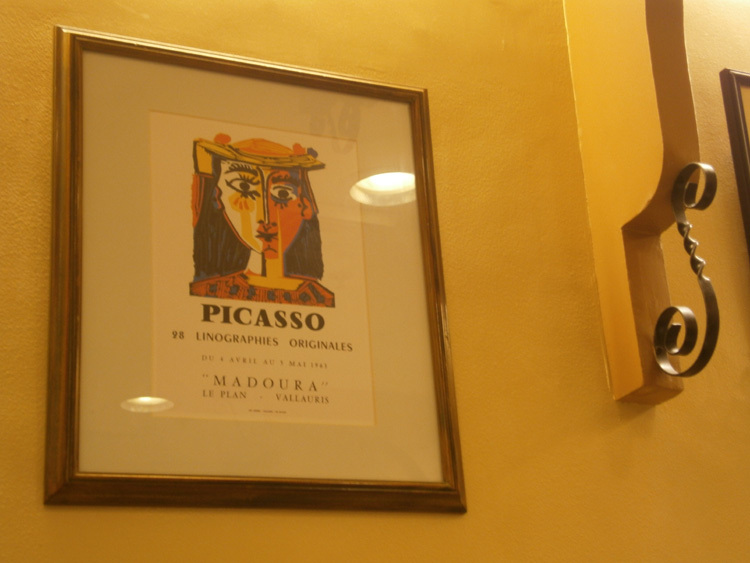 But as we were waiting for our food, I can’t help but look at the interior of the place, and I was really interested with the framed pictures that even had the time to mentally criticize the presence of something-French in a supposedly-Spanish themed place (unless, of course, we count Picasso being Spanish). However, the thing that captured me the most was the lighting. I’ve always been attracted to the warm and yellowish lighting of some establishments, as they can drastically change the mood of a room. Not to mention, everyone looks nice under a pretty yellow light! When we went to WalterMart last Sunday, we looked at the supermarket for bulb giving a light similar to the one below. I almost completely forgotten about it but good thing I saw this light again. 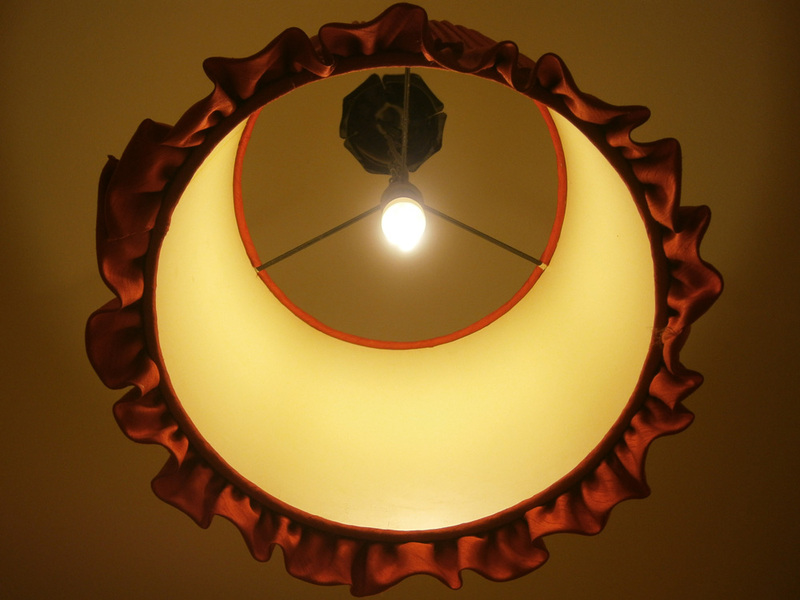 It was difficult to look for one, though, because we do not have the traditional bulb socket, rather the one dedicated to a 12-inch, circular one. It no longer has its cover as well, and the paint-stained mounting apparatus was not that pretty too. LOL Anyway, I know that I have seen a shop in Libertad, dedicated to selling anything related to lighting, so I might take a look next week to see whether they have something nice and affordable for us to consider.